Deep in the heart of Suffolk, Serendipity Street helped to style a beautiful country wedding for Ian & Rachel. 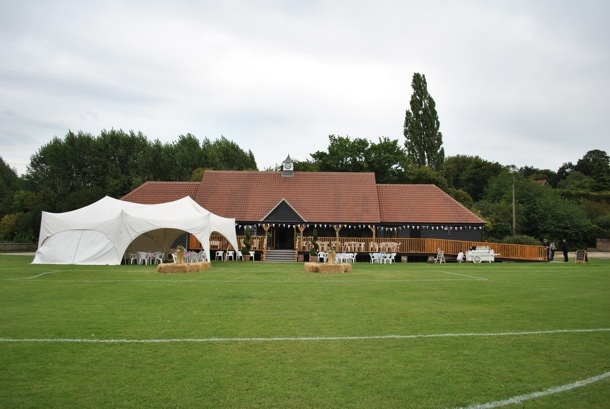 Rachel is the daughter of a local thatcher and decided to have her wedding at the newly built Rattlesden Cricket Pavilion. This impressive timber building is fully equipped with solar thermal and solar pv panels, making this a very green wedding. The corn dollies were made, bunting hung, vintage cloths dressed the tables, local flowers in enamel jugs and jasmine topiary all helped to set the scene. 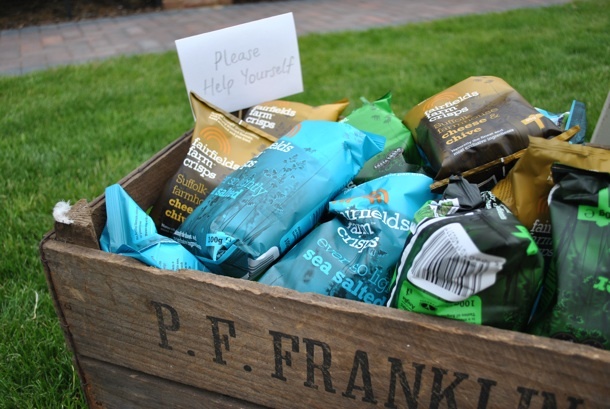 Being a Suffolk wedding there was a hog roast with lots of local produce including a vintage ice cream cart and pop up beer tent. Tea served on vintage china and the most amazing cupcakes. 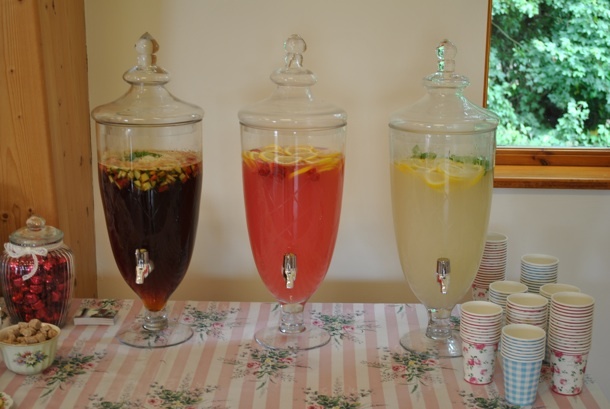 Our glass drinks dispensers, looked lovely filled with Pimms, pink lemonade and ginger beer. Roll on our next Suffolk Country Wedding this weekend.